celebration. And my family got an amazing new son, brother, grandson, nephew, cousin, and friend. One of our family favorite non-Italian cookies is baklava. The crisp phyllo dough and nuts blended with honey and sugar make for a deliciously sweet pasty that melts in your mouth. Symon’s recipe looked best, but like any Italian, I adapted it. Before the big day, I made several practice pans and shared them with family and friends. I received great feedback and suggestions to make the recipe even better. Most people think that baklava is difficult to make, but in truth, it is just a labor of love. And the more that you make it, the easier it becomes. Take the time and make a batch, your family will love it. And it freezes exceptionally well. And the syrup that you pour over top can be adapted to add your favorite flavors. Preheat oven to 350ºF. Grease a rimmed 9″x13″ baking dish with melted butter. Combine the nuts, graham crackers and cinnamon in food processor. Pulse until finely ground. Transfer mixture to a large bowl and set aside. Place one sheet of phyllo dough onto the greased baking sheet. Using a pastry brush, coat the top with melted butter. Repeat process with 7 more sheets of phyllo dough. Spread an even layer of 1/6 of the nut mixture on top of the buttered phyllo layers. Layer and butter 4 sheets of phyllo and top with 1/6 of the nut mixture. Repeat 4 times. Use the last 1/6 of the nut mixture and top with 8 layers of buttered phyllo dough sheets. Finish the top layer with plenty melted butter. Before baking, cut pastry in a diamond pattern. Bake 1 hour on the lower rack, or until golden brown. water. Stir constantly, bring to a boil and let cook for 10 to 15 minutes. Add the lemon juice and boil for a few more minutes. Remove from heat and allow mixture to cool slightly. Allow Baklava to cool slightly. Pour the warm Syrup over the warm Baklava. Allow Baklava to soak for at least 6 hours or overnight. I adore Baklava. I’ve never been good at making pastries, but this recipe makes me wish my skills were better. Missy, I adore cooking. I always have. One of my least favorite things to do is to bake, unless it is bread, or bar cookies. I hate making individual cookies, they take too much time. I stared baking with simple things first and worked my way up. Baklava is a very forgiving recipe, I hope you give it a try. I’m opposite of you, Michele. I love baking. (In fact, I just made 3 kinds of fudge today, and I’m planning to make a pavlova this weekend.) 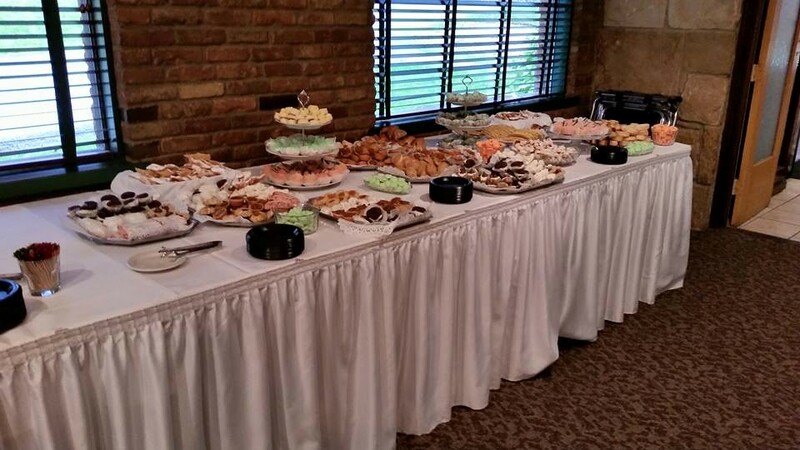 As for cookie tables at weddings, BRING THEM ON! I agree. I love the cookie table at weddings. I love fudge. Dark chocolate with nuts is my favorite. I plan on making bread this weekend. I enjoy baking – I’ve never attempted Baklava. It looks and sound delicious. Your daughter’s wedding picture is beautiful. Congrats to the new couple! Thank you, Joan. 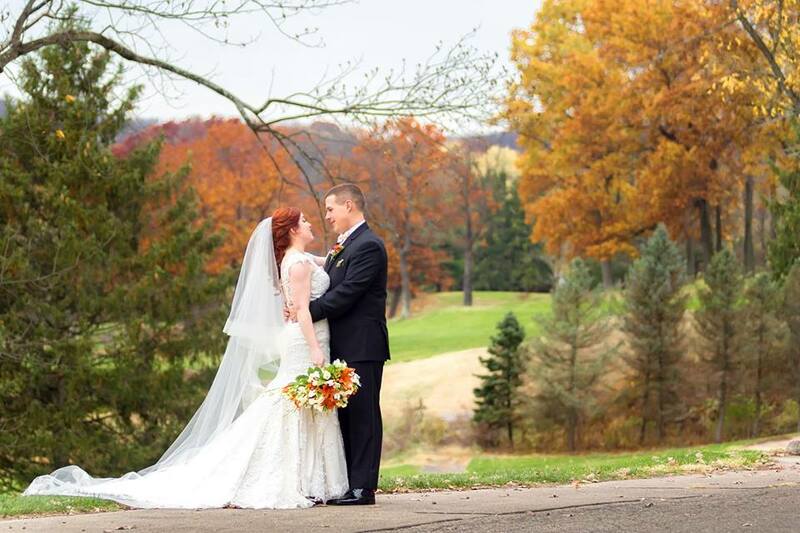 We had the best day. Give the baklava a try. It really isn’t hard, just time consuming, and people will definitely be impressed.